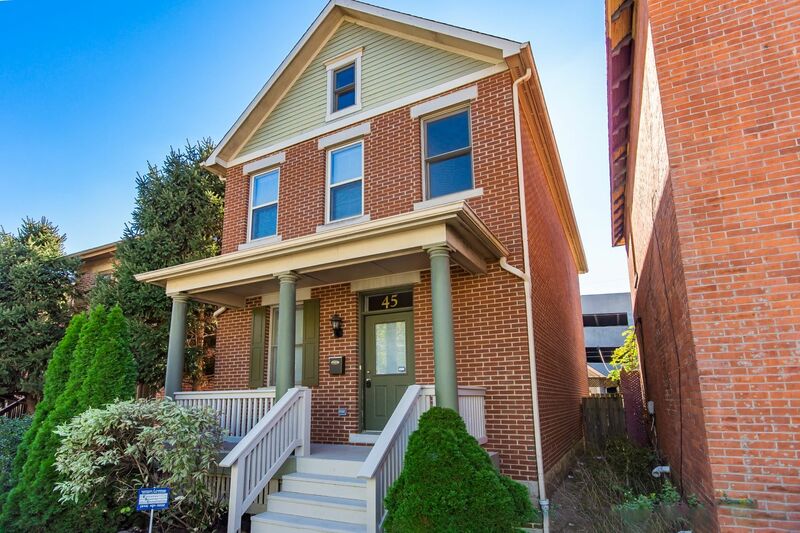 Soaring all brick home built in 2002 in the heart of the Short North! Shopping, dining, galleries, fun are right off the porch of this Italian Village home. 3 Bed 3.5 baths, 2166 sqft spanning 3-levels. Open concept first floor boasts living/entertaining space, hardwood floors, designer island, shaker cabinets and stainless steel appliances. French doors open to the private paver courtyard (home to many parties) and bonus TV cabinet – watch the big game outside! HUGE 2 car garage (2009). 2 bedrooms up each with en-suite baths and dramatic high ceilings and windows. Lower level media room, utility, full bath and 3rd bedroom with egress. Your oasis in the city! Oasis in the Short North!